It was the year of economic turmoil for four Asian Tigers. It was also the year when a Singapore dream was envisaged. A dream to assist and facilitate foreigners coming to the shores of Singapore to expand their businesses and make the city-state their home. And one year later, in 1998, Rikvin Pte Ltd was launched. In the last sixteen years, the organisation has grown to become Singapore’s leading company incorporation and work visa consultancy with a full suite of services including corporate secretarial, immigration, accounting, statutory compliance and payroll needs. What are the benefits of immigrating a business to Singapore? The benefits of business immigration to Singapore are immense. Singapore is now probably the world’s best place to do business. The city-state is known for its pro-business policies, ease of doing business, robust IP protection, attractive corporate tax framework, excellent connectivity, strategic geographical location with proximity to the world’s largest emerging markets, and comprehensive trade agreements with over 100 regions of the world. It is also a top-notch financial centre with access to private and government funding. If a foreign company or a high net worth individual is willing to incorporate a subsidiary or a holding company in Singapore, we can do this in a matter of hours provided all the paperwork is in order. Moreover, Singapore gives tremendous flexibility in terms of availability of types of business entities that a foreign individual or foreign company can incorporate. Additionally, you can choose whether to relocate to Singapore along with Singapore company incorporation, or simply incorporate a company in the city-state and appoint a nominee resident director. What are the possible scenarios for business immigration to Singapore? Firstly, let me talk a bit about business registration options for foreign individuals in Singapore. Here, the obvious choice is to incorporate a private limited Singapore company under the Companies Act, Chapter 50. A foreign individual can do this either by relocating to Singapore, in which case, the two options are Employment Pass and EntrePass. Otherwise, if you choose to do it without relocating, we can provide you with our nominee resident director service. Incorporating a Singapore Company with Employment Pass. What’s that? As stated, the most popular way for a foreign individual to start a business in Singapore is to incorporate a Singapore company and relocate to Singapore with Employment Pass. And the procedure is simple. You incorporate a Singapore private limited company using our services. We take care of the resident director (via a temporary nominee), company secretary and local physical address requirements. Once the company is incorporated, we can apply for your Employment Pass so that you can relocate to Singapore and take care of the new company’s businesses here once your EP is approved. Later, our temporary directorship ceases and you can act as the sole director. What about incorporating a Singapore company with EntrePass? This is the second option available to foreign entrepreneurs who want to take advantage of Singapore’s pro-business climate and form a new private limited company here. This pass is applicable for, but not limited to, innovative technology creation and application, and R&D-intensive enterprises including the clean-tech and biotech sectors. The requirements for an EntrePass application are looked into by the country’s Ministry of Manpower, Spring Singapore, Infocomm Media Development Authority (IMDA) and the National Research Foundation (NRF). The applicant must either have monetary funding of at least S$100,000 from a recognised third-party VC or a Singapore government agency accredited business angel; or any shareholder in the company possess an IP registered with an approved national IP institution and the business mentioned in the EntrePass application must be related to the said IP; or there’s an ongoing research collaboration with institutes of higher learning in Singapore; or the applicant’s company must be based at a Singapore Government supported incubator; or the applicant must hold significant business experience/network and promising entrepreneurial track record; or the applicant must have exceptional technical/domain expertise in an area related to proposed business; or else the applicant must hold a good track record of investing in businesses and want to grow new or existing businesses in Singapore. Moreover, a 10-page draft business plan must be submitted along with the EntrePass application. You also mentioned something about Singapore nominee resident director. Please explain. Well, the procedure is similar to what I told you about incorporating a Singapore company with Employment Pass (EP), except in the need for EP application and resident director. If you want to manage your Singapore company operations from overseas, you needn’t apply for your Employment Pass after your company is incorporated. Instead, you can continue using our nominee resident director service, which would have been extended to you during the company incorporation process, on a long-term basis. This will ensure that the statutory requirement of your Singapore company having a resident director is always fulfilled. What are the company registration options available for foreign companies that intend to migrate their businesses to Singapore? In summary, foreign companies have three business registration options in Singapore – incorporate a private limited company, set up a branch office, or open a representative office. 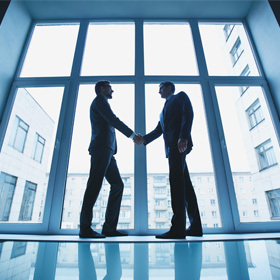 The first option of incorporating a Singapore private limited company is the most ideal. Do note whether the foreign company chooses its Singapore arm as a subsidiary or a holding company, according to the Singapore Companies Act, it would have to be a private limited company. Again, as in the case of foreign individuals, foreign companies can also incorporate a Singapore company either by relocating its directors to Singapore via an Employment Pass, or without relocating through our nominee resident director service. The option for company incorporation and relocating with EntrePass is not extended to foreign companies. The second option for foreign companies is to set up a Singapore branch office which facilitates business operations and revenue generation for the company in and around the region. Since the branch office is just an extension of the foreign company, it is not considered a tax resident by IRAS. Consequently, it is not entitled to full tax exemption and other incentives available to locally incorporated entities. However, a branch office may still qualify for partial tax exemption. A final option for foreign companies to explore business opportunities in Singapore and the nearby regions is to set up a Representative Office (RO) in the city-state. If you want to explore the benefits of migrating your business to Singapore before taking the final plunge, RO gives you that option. These are all the different scenarios for business immigration to Singapore. What you choose ultimately depends on the goals of the foreign company or individual involved. Are there any available options for Singapore permanent residency and subsequent citizenship for foreigners who immigrate their businesses to Singapore? When you relocate your business and yourself to Singapore, you can apply for Singapore permanent residency (PR) after staying in the city-state for six months. Getting a PR can also be the intermediary step towards Singapore citizenship as all Singapore PRs who have completed their two years of residency are eligible for Singapore citizenship. While there are three pathways for attaining Singapore PR, Foreign Artistic Talent scheme (ForArts) is meant for outstanding international arts professionals only. 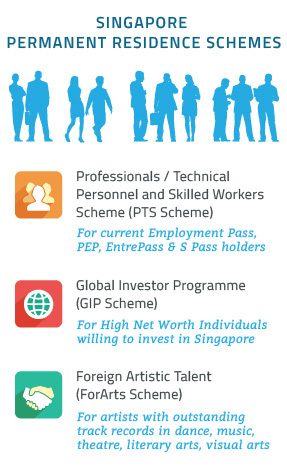 For Singapore’s work visa holders (Employment pass, S pass, EntrePass or Personalized EP), the most preferred scheme is the Professional, Technical Personnel and Skilled Workers scheme (PTS scheme). More than 95 percent of professionals attain their PR status through this scheme. The applicant’s spouse and children can also apply for Singapore PR under this scheme, with male dependants becoming liable for Singapore National Service if they are granted the PR. The third and final pathway is the Global Investor Program scheme (GIP Scheme). This scheme is an initiative by the Singapore Economic Development Board (EDB) and Ministry of Manpower (MOM) for an investor who is willing to take up Singapore PR and has a substantial business track record and a successful entrepreneurial background. But the governing condition is that the investor must invest at least S$2.5 million either in a new business entity (or expand an existing business operation in Singapore) or in a GIP-approved fund that invests in Singapore-based companies. To be successful in a GIP application, the applicant company’s annual turnover must be at least S$50 million in the year before he or she makes the application, and at least S$50 million per annum on average for the three years immediately preceding the application. While consolidation of businesses is allowed, it must be done only for approved industries to meet the minimum turnover clause. Is an Exempt Private Company (EPC) the most common legal form of business in Singapore? What is the procedure for setting up an EPC in Singapore? As stated earlier, the most common and flexible option for anyone to do business in Singapore is to set up a Singapore company. If the number of shareholders in the newly-formed Singapore company is 20 or less, with no corporation holding any beneficial interest in the company’s shares, it is known as an Exempt Private Company (EPC). So basically, an EPC is a sub-type of private limited company in Singapore and is currently the most common and preferred type of business entity in the city-state because of the reduced compliance requirements, more freedom in financial loan activities, and tax-exemptions granted in the start-up stage. Just to elaborate, the current legislation exempts EPCs, with an annual turnover of less than S$5 million and are solvent, from annual audit and accounts submission requirements. Instead, they just have to submit a solvency declaration signed by the company director(s) and company secretary in the prescribed form. Moreover, as regards to financial loan activities, EPCs enjoy a greater degree of independence as compared to other types of companies. They have more flexibility in the ways of dealing with capital as deemed fit in the ever-changing business realities. Finally, what are the corporate taxation benefits foreign companies enjoy when they migrate their businesses to Singapore? As regards to the tax rates, all Singapore tax-resident companies are charged a flat rate of 17 percent on their chargeable income i.e. taxable revenues less allowable expenses and other allowances. This tax is on profits derived in Singapore, as well as on foreign soil, which are then remitted to the country. 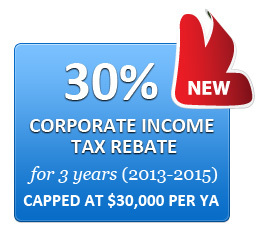 This rate itself is quite low and becomes even lower effectively when a tax-resident company in Singapore takes advantage of all the government incentives, subsidies and schemes such as Productivity and Innovation Credit (PIC) Scheme, Corporate Income Tax Rebate (CIT), and the Start-up Tax Exemption (SUTE) scheme. While CIT is a 30 percent rebate granted to all companies in Singapore for year of assessment 2013, 2014 and 2015, subject to an annual cap of S$30,000, SUTE is a scheme for qualifying new companies [investment holding companies and companies engaged in property development activities are not eligible] which are granted tax exemption on normal chargeable income of up to S$300,000 for each of the first three consecutive years of its operation. Moreover, since 2008, all companies in Singapore are given partial tax exemption on normal chargeable income of up to S$300,000. But the scheme which is of most interest to foreign companies immigrating their businesses to Singapore is the foreign sourced income exemption scheme or FSIE. Since Singapore follows a progressive tax framework, based on territorial policy, the foreign sourced income of Singapore companies remitted to the country is also taxed. That’s where FSIE comes to the rescue as according to the scheme, foreign-sourced dividend, foreign branch profits, and foreign-sourced service income of a Singapore company are tax exempted. But only if the headline corporate tax rate in the foreign country from which the income is received is at least 15%, and the income had already been subjected to tax in that particular country. What about double taxation? How can foreign companies incorporating a Singapore company avoid being taxed two times? 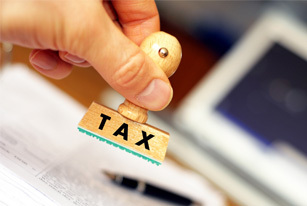 For such cases, the Inland Revenue Authority of Singapore (IRAS) has a foreign tax credit (FTC) scheme, which allows the company to claim a credit for the tax paid in the foreign country against the Singapore tax that is payable on the same income (i.e. if the headline corporate tax rate in the foreign country from which the income is received is at least 15%, and the income had already been subjected to tax in that particular country). Under this, two types of credit or relief can be claimed – Double Tax Relief, in countries with which Singapore has a signed treaty, and Unilateral Tax Credit, where there is no signed treaty. The Singapore company also has the option of FTC pooling system introduced in 2011.